The "New Day: a new day, a new hope, send love to Japan" campaign for the victims of the earthquake/tsunami in Japan ended successfully yesterday. More than 30 artists in Taiwan showed their support for this Takashi Murakami campaign, including Jolin of course, Wu Chun from Fahrenheit, Ethan Ruan, Bianca Bai, Fan Fan and so on. And in the end 6,904,000 NTD (167 511€ or 242 104$) have been raised for Japanese Red Cross! 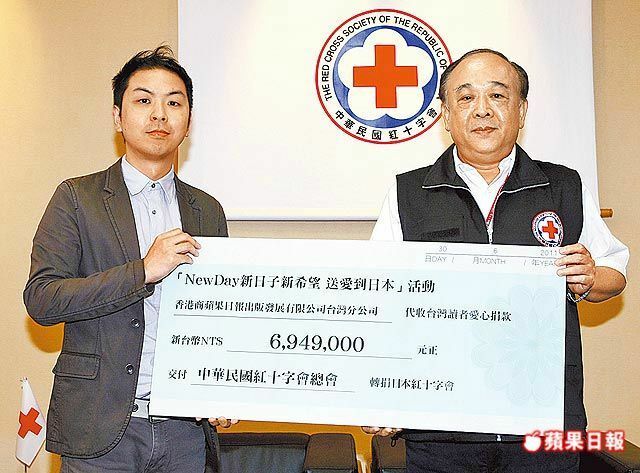 The Chinese Red Cross has received the check and will hand it over to the Japanese Red Cross. If you don't remember what this campaign was about, check THIS post, and THIS one.